Heads up – USD/JPY is just a handful of pips away from 99.80! Those of you who have been tracking this pair probably know that price was rejected strongly the last couple of times it tested this level. So I don’t need to remind y’all that this is definitely an area to watch! 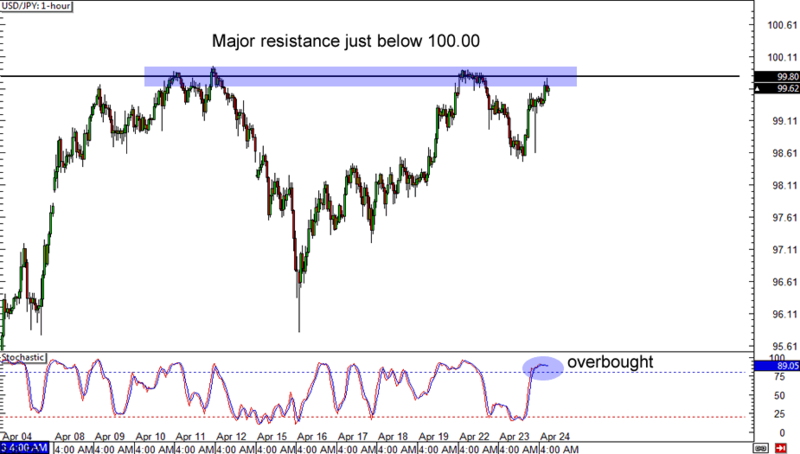 Another bounce off this area could lead the market back down to 98.50 while a break could lift price to 100.00 or higher. Comdoll lovers out there will go nuts for this setup on USD/CAD. It’s a perfect ascending triangle! 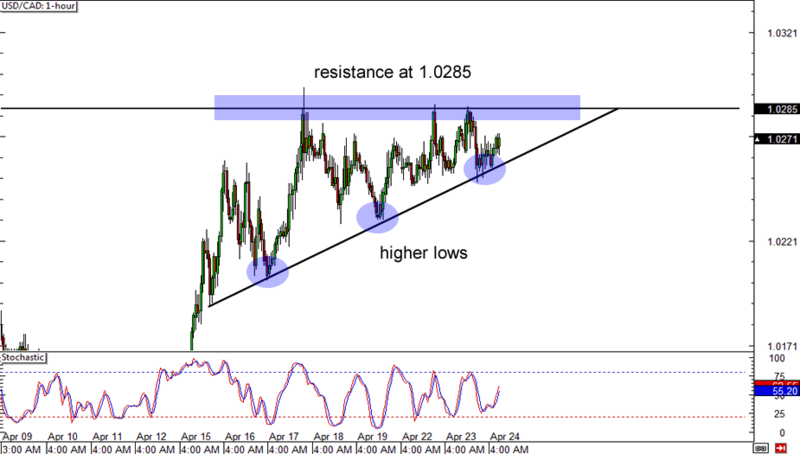 This chart pattern usually precedes a strong bullish move, so I wouldn’t be surprised to see the 1.0285 resistance level give way in the coming days. But then again, we can’t rule out a downside breakout either, so you should also have a backup plan in case sellers take control and drag price to a new low. 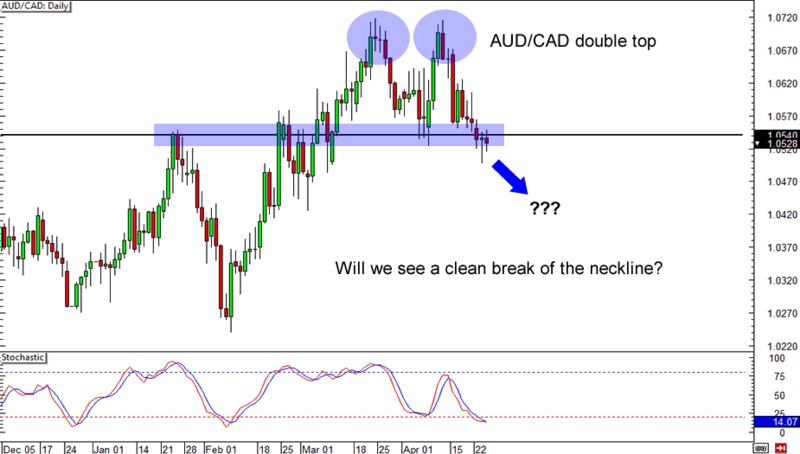 Last but not least, we have AUD/CAD showing a double top formation. Right now, price is still in the area of the neckline, so it’s best to approach this pair with a wait-and-see mentality. If we see a clean break of this support level, going short and aiming for around 150 pips (the height of the tops) could be a profitable strategy. On the other hand, if the market pushes price back above the neckline, aiming for the previous highs could be your best bet.